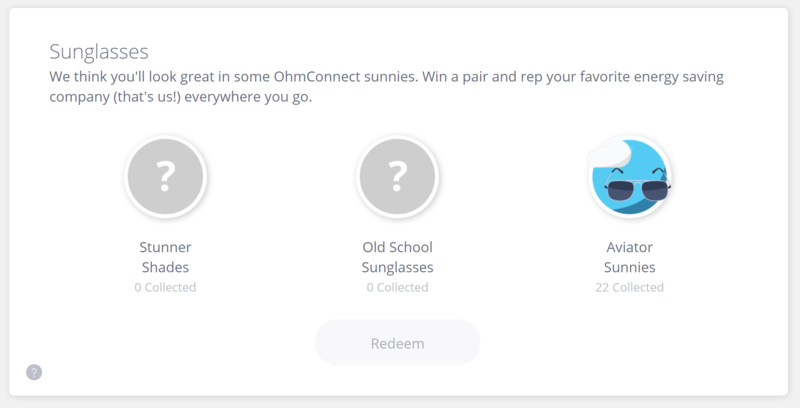 For the Spin to Win prizes, you must collect all 3 badges in a "set" to enable the redeem button and collect your prize. Once you have all 3 badges in a set, you can then click "Redeem". 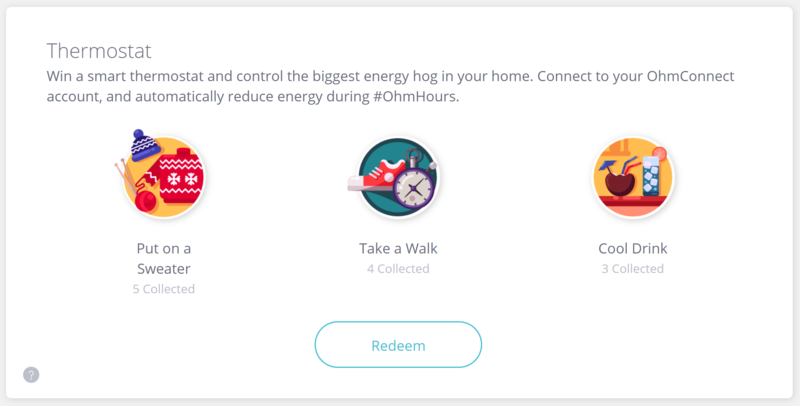 In the below example, this OhmConnect user has won all 3 badges in the "Thermostat" section, and the prize is ready to be redeemed! All spin results are random. You can see all the badges you've won so far on your token redeem page.